A talk given by A. Ortiz-Bernardin at WONAPDE 2019, January 22, 2019, Concepción, Chile. Abstract. In meshfree Galerkin methods to solve partial diﬀerential equations, a cloud of nodes is used to discretize the domain. On using the nodal data, smooth, compactly-supported, non-polynomial basis functions are constructed to form the trial and test functions. Instead of using Gauss cubature points to compute the weak form integrals, use of nodal integration  (material state variables are stored at the nodes thereby avoiding the need for remapping) is attractive for meshfree Lagrangian simulations; however, stability of meshfree nodal integration schemes remains an unsolved problem. 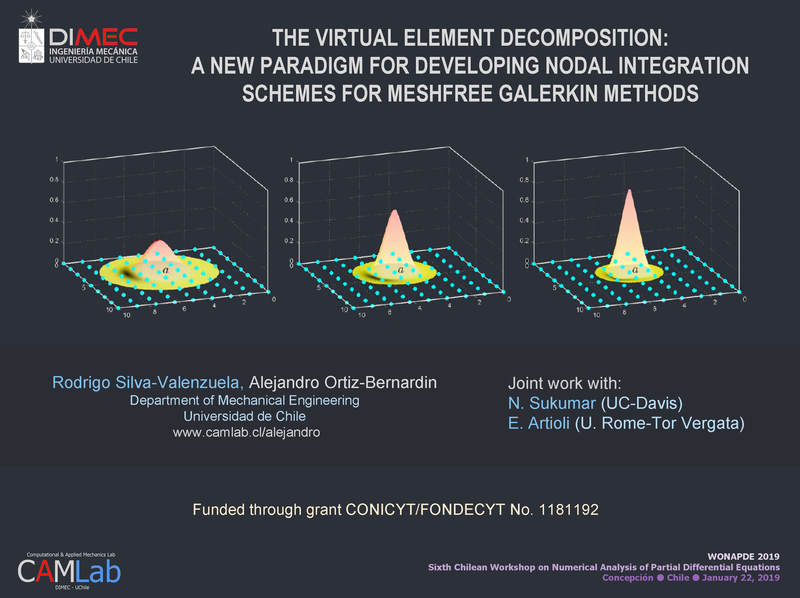 This work presents a new paradigm for developing nodal integration schemes for meshfree Galerkin methods via the virtual element decomposition [2, 3] on Voronoi cells that are associated with a node. In doing so, both consistency and stability of the meshfree method are ensured. 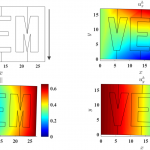 A few benchmark problems in two-dimensional linear elastostatics and elastodynamics will be presented to demonstrate the accuracy and robustness of the nodal integration method. Keywords: meshfree Galerkin methods, nodal integration, Voronoi cells, consistency and stability, virtual element decomposition. M. A. Puso, J. S. Chen, E. Zywicz, W. Elmer. 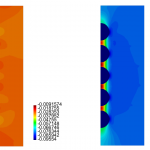 Meshfree and ﬁnite element nodal integration methods. 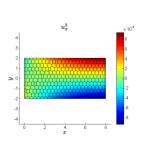 International Journal for Numerical Methods in Engineering. 74(3): 416–446, 2008. L. Beirao da Veiga, F. Brezzi, A. Cangiani, G. Manzini, L.D. Marini, A. Russo. 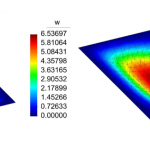 Basic principles of virtual element methods. Mathematical Models and Methods in Applied Sciences, 23(01):199–214, 2013. A. Ortiz-Bernardin, A. Russo, N. Sukumar. 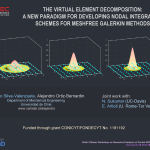 Consistent and stable meshfree Galerkin methods using the virtual element decomposition. International Journal for Numerical Methods in Engineering. 112(7): 655– 684, 2017.